It is easy to identify a lot of things that have gone wrong in the world. Britain is in a deadly stalemate, facing an urgent decision and with no majority for anything. Right wing governments threaten democracy in Venezuela, Poland, Hungary and even Italy. America is stuck in a stupid conflict between a stubborn President and stubborn Democrats. Israel goes to elections on April 9 that according to polls will change absolutely nothing. But underlying all this is a little-noted problem. 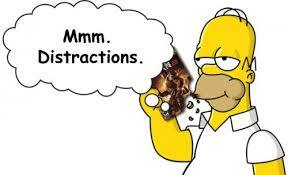 Distraction. Small children are easy to distract; parents do it all the time. Apparently world leaders are also easy to distract. Trump obsesses over a wall, while America’s economy slows, and its infrastructure crumble. Israel faces threats on its borders, but its Prime Minister obsesses about his impending indictment for bribery. Europe struggles with migrants, and debt, but is totally distracted by Brexit and will be for months. China and the US grapple over Huawei and cell phone technology, while their trade war causes the entire world economy to slow. The world has lost focus. The 30-second news cycle has led to massive myopia, neglecting longer term problems. Elections focus on personalities. Try to find a comprehensive well-designed political platform for any political party anywhere. I think the distraction of non-news and personalities is a major threat – if it continues, we will never even begin to grapple with the real major problems the world faces. So, let’s decide – Just because our leaders are distracted, and purposely try to distract all of us with pipsqueak inconsequential matters, we don’t have to play. Where possible, let’s find ways to refocus the political system on the things that really matter – saving, education, investment, schools, roads, corruption, equality, and overall creating a better world. Make America Make the World Great Again. « Why Do People Swallow Whole Fake News?